Secondary Infertility is when the fertility specialist you rely on for answers, tells you to be grateful for the baby you already have. You are grateful. Immensely grateful to be a mom. But that doesn’t mean that your longing to be a mom of two goes away. It’s different. Yes, it’s different to be wishing for your very first child and wishing for a second or third, or whichever number it is you feel would be the ideal for the family you once envisioned. It’s a different ache. It’s a different journey with particular challenges. Such as guilt because you already have what so many others are wishing for. Guilt because the child you have tells you her friend Chloe is a big sister and when will she get to be one. 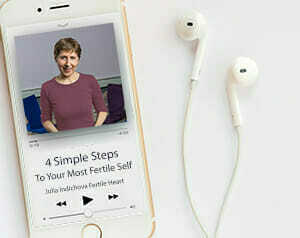 I am particularly grateful for the women and couples who attend our Introductory Teleconferences and workshops hoping for a second or third child because they validate the value of the Fertile Heart tools more than anyone else. It’s not just about having a second or third child. It’s never just about that.